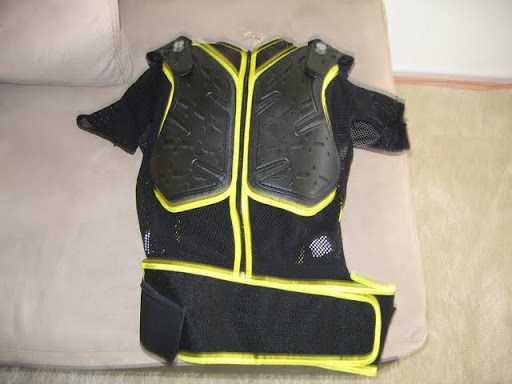 Vented textile jacket has CE armor on the back, shoulders, elbows and chest. 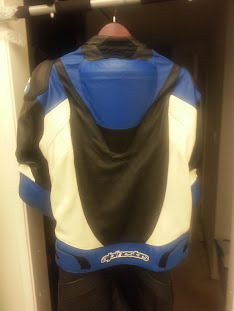 Size is XL but its a conservative XL, only wore the jacket a few times and it just wasn't my style. 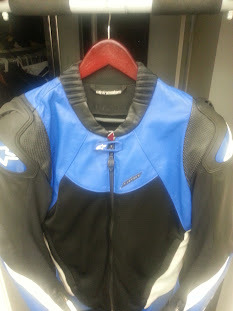 Great jacket for the spring/summer as it's vented pretty well, also comes with liner for those colder days. 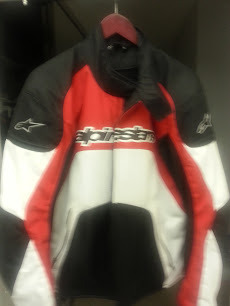 I have an Alpinestars Smx Airflow jacket size 46us and leather pants size 40. Pants have only been worn three times and the jacket a handful. 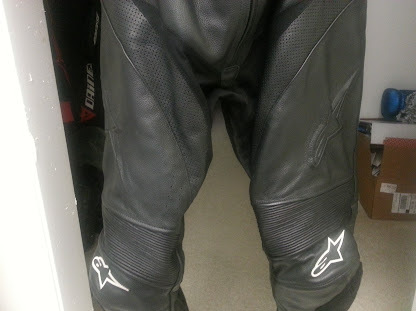 The suit was dry cleaned at Anthony's leather care back in November and it's been sitting in the closet ever since. Pants come with original pucks that are in mint condition and jack comes with liner, great jacket for the warmer weather. Deals and Vendors / MOVED: So I started doing vinyl again. Get at me. This topic has been moved to Parts For Sale. This topic has been moved to General Motorcycle Discussion. For those of us that live in the Long Beach area a few of us sometimes meet up on PCH and 7th to ride into Original Mike's together. It's a cool way to meet people who live in the area that enjoy night rides and cool convo that's commonly found on OCmoto.com and at OCmoto events. So if any members (new and current) would like to meet up and ride into OGM's together much like the Fountain Valley and Anaheim meet ups here's your invite . The ride pace is relaxed it's about a 20-25 minute ride from the meetup spot and again a good way to meet up with other riders that are in the area. So if your cool with riding in a group and or just want to meet other people that happen to live in the Long Beach area and like to ride please join us. Went to see Sam yesterday to address some things on my bike (rear brakes, flush brake lines, service the chain, recharge my K&n filter and change the oil). 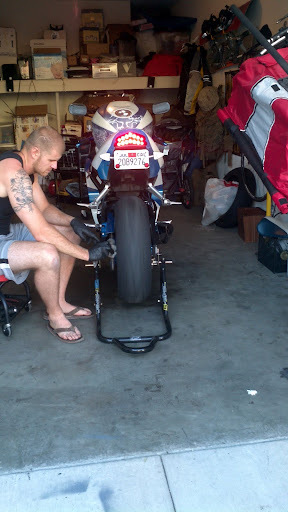 Although it was a little ride from Long Beach once I got there Sam threw the bike up on the stand and got to work. 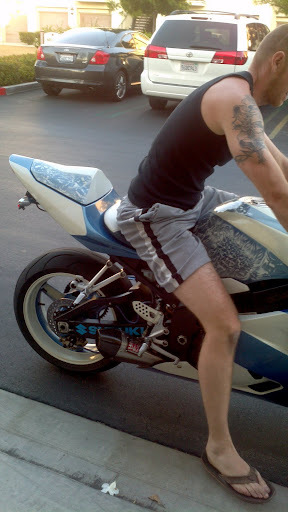 He pointed out some things to look out for as well as walked through some other possible mods my bike may benefit from. He provided a ton of insight and answered all me questions, I've been trying to have my bike looked at for some time now and was happy to have Sam address and resolve some of my concerns. With the exception of some small upgrades the bike is ready for summer Sam is good people and if you can make it to his place check him out sometime. Good maintenance day for the bike, I bought all the supplies so I know what's getting put into my bike and the labor/lesson was a great price. It's time for me to make space for some new gear so I want to clear out my closet of gear that I never really used. 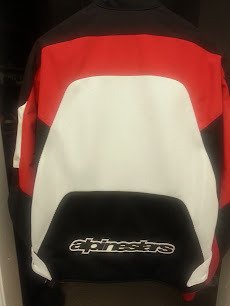 First up is my Alpinestars black label leather jacket size XL. Jacket is still pretty much new wore it a handful of times and it not broken in yet. Has ce armor in the sholders,elbows and back (foam), I'm asking for $210. For those of us that live in the Long Beach area we meet up on PCH and 7th to ride into Original Mike's together. It's a cool way to meet people who live in the area that enjoy night rides and cool convo that's commonly found on OCmoto.com and at OCmoto events. I figured I'd keep this going to see if any members (new and current) would like to meet up and ride into OGM's together much like the Fountain Valley and Anaheim meet ups. The ride pace is relaxed it's about a 20-25 minute ride from the meetup spot and again a good way to meet up with other riders that are in the area. For those of us that live in the Long Beach area a few of us meet up on PCH and 7th to ride into Original Mike's together. It's a cool way to meet people who live in the area that enjoy night rides and cool convo that's commonly found on OCmoto.com and at OCmoto events. Since it's continuing to stay warm and hopefully dry I figured I'd keep this going to see if any members (new and current) would like to meet up and ride into OGM's together much like the Fountain Valley and Anaheim meet ups. The ride pace is relaxed it's about a 20-25 minute ride from the meetup spot and again a good way to meet up with other riders that are in the area. For those of us that live in the Long Beach area a few of us have been meeting up on PCH and 7th to ride into Original Mike's together. It's a cool way to meet people who live in the area that enjoy night rides and cool convo that's commonly found on OCmoto.com and at OCmoto events. Since it's continuing to stay warm for now I figured we'd keep this going to see if any members (new and current) would like to meet up and ride into OGM's together much like the Fountain Valley and Anaheim meet ups. The ride pace is relaxed it's about a 20-25 minute ride from the meetup spot and again a good way to meet up with other riders that are in the area. So a few of us in the Long Beach area have been meeting up on PCH and 7th to ride into Original Mike's together. It's been a cool way to meet people who live in the area that enjoy casual rides and cool convo that's commonly found on OCmoto.com and at OCmoto events. Since it's starting to warm up I figured I'd give this a try to see if any members (new and current) would like to meet up and ride into OGM's together much like the Fountain Valley and Anaheim meet ups. The ride pace is relaxed it's about a 20-25 minute ride from the meetup spot and again a good way to meet up with other riders that are in the area. Hopefully some members and new and old can make it out, hope to see you there. So the summer is coming and it's time to clear out some gear that I either don't wear anymore or never really wore to start with. And to unload some stereo equipment. 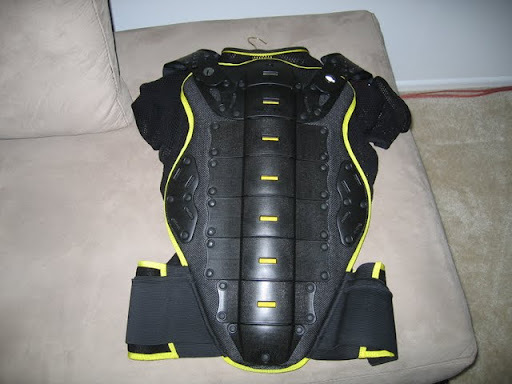 I'm selling my Acerbis Koerta WS Roost Deflector armor. I've only had it for about a month and wore it around 5 times tops, it just doesn't fit me right and I'm going to look into another brand. 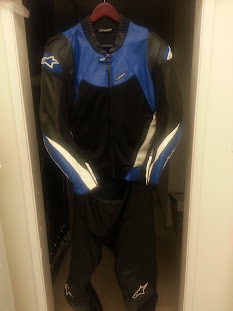 The suit is a XXL so it gear towards riders 200+lbs and it's in excellent condition. I feel this is a much better option to the Icon vest everyone rides around with. I'm asking for $90 the cheapest I can find this online for is $134.00+ shipping. Name is Marcel I recently moved (in June)to Long Beach from Washington DC. While I rode sporadically on the east coast I never owned a bike until I moved out here. I don't really know many people so my riding has been limited to Sundays with some people I've met in the MSF class. I've been looking to meet new people to ride with hit the canyons or just grab a berr. I ran across an OC member (Cowboy) who put me on to this site, and so far I'm mad I didn't come across it earlier. Looks like you guys have a lot of cool events I look forward to meeting some of you guys tomorrow at the Cycle Gear event.